Already widowed by the age of forty, Ilka Nichols Jensen, a school portrait photographer, leads a modest, regimented, and uneventful life in Copenhagen. Until unexpected news rocks her quiet existence: Her father--who walked out suddenly and inexplicably on the family more than three decades ago--has died. And he's left her something in his will: his funeral home. In Racine, Wisconsin. Clinging to this last shred of communication from the father she hasn't heard from since childhood, Ilka makes an uncharacteristically rash decision and jumps on a plane to Wisconsin. Desperate for a connection to the parent she never really knew, she plans to visit the funeral home and go through her father's things--hoping for some insight into his new life in America--before preparing the business for a quick sale. 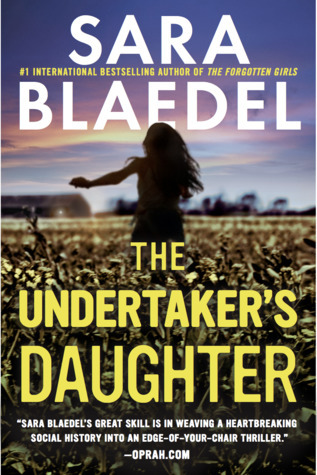 But when she stumbles on an unsolved murder, and a killer who seems to still be very much alive, the undertaker's daughter realizes she might be in over her head . . Learn more about Sara and her writing on her website and connect with her on Facebook and Twitter.